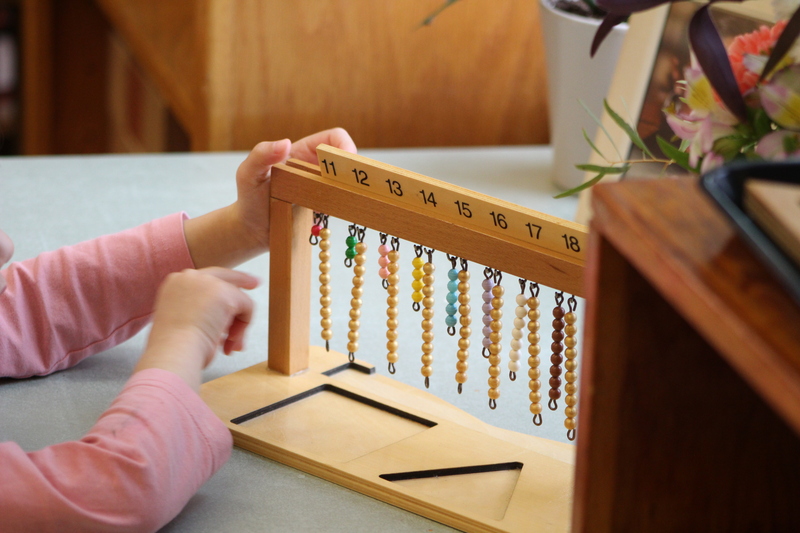 In 1979, twenty-one-year-old Montessori teacher Andrea Blitzer (now Andrea Riddle) decided to join renowned Montessorian Carol Hill to start an elementary Montessori school in Ithaca. At that time, the town had no Montessori school past the primary/extended day level. Asa a first step, they ran an ad in the Ithaca Journal to see what response they would get. Thirty to forty prospective families responded by attending a meeting held at the public library. With no money, no school site, and nothing to show these families other than their vision, the meeting ended with nine families willing to enroll their children. Initially, Carol and Andrea worked together with the Ithaca Montessori School (IMS), which at that time was solely a toddler and primary/extended day school. They both taught primary classes there while building the new elementary school. Their plan (for the time) was truly revolutionary: they believed, and still do, in Dr. Montessori’s philosophy to transform the world by changing the way we educate our children. Unfortunately, many educators at IMS did not share their long term vision. The school found its first home in the TG Miller building (now the Community School of Music and Art), in downtown Ithaca. The upstairs ballet school provided classes for movement. DeWitt Park and the climbing structures on the Ithaca Commons were the locations for recess. By the third year, with sixty-five students ranging in ages from six to twelve, they were in need of more space. In 1982, the redistricting of the Ithaca public school system resulted in three empty school buildings. Carol and Andrea, with their burgeoning enrollment, approached the school district and were allowed to inhabit the Cayuga Heights Elementary School. For the next six years things went well for the new Montessori School of Ithaca. This relocation also brought an influx of students, increasing enrollment to eighty-eight students. However, in 1988, Carol and Andrea saw the possible end to their dreams. Cayuga Heights Elementary was to reopen for public use and they were given six months notice to vacate the premises. Andrea says that looking back, she was ready to let go of her dream. She thought it might be over. To her surprise, people overwhelmingly signed up to help. WIthin six weeks, $70,000 was raised; the Trust Company guaranteed a half-million dollar loan; a builder agreed to build the school at cost; four parent architects donated their expertise and worked together to design the structure; and land was scoped out from tax maps and purchased at a reasonable price. The entire process took eight months to complete. The students studied electricity and plumbing as the lines were laid. They created time capsules and buried them at various locations on the school grounds. Not only was the school saved, it was built. In 1997, Carol left Ithaca and the school she founded with Andrea and moved to Florida. A year later, a visitor arrived in the foyer and insisted on speaking to Andrea. It was a little, old woman who introduced herself as the owner of the house across the street on King Road. She proceeded to tell Andrea that MSI was going to buy her house. Andrea politely explained that the school had no need for more space. “Oh, but you will, my dear,” the old woman insisted. “You will need my house.” The woman had it all figured out and, once again explained the terms of the purchase. The school was to pay her $5,000 every year for ten years unless she were to die — in which case, all debt would be be absolved. Andrea presented the woman’s offer to the board and the decision was made to purchase the home (indeed, the woman passed away just last year). The home was renovated for upper level use. This addition, along with the addition of Scott’s classroom, allowed the school size to double. A few years later, the house that is now the Middle School was put up for sale. WIthin hours of a real estate sign appearing on the front lawn, an offer was made by the school and accepted. In 1998, the Montessori School of Ithaca was renamed the Elizabeth Ann Clune Montessori School of Ithaca, in honor of one of its most inspirational and beloved students. To this day, over twenty-five years after its inception, the school remains a vibrant, private educational alternative for the people of Ithaca and surrounding areas, serving 192 students ages three to fourteen.